Google turns its focus more consistently on the needs of mobile use: The page speed on mobile devices is now officially considered to be a ranking factor too. Google announced the news on its Webmaster Central Blog. The Speed Update will be rolled out in July 2018. This means for pages with a high mobile loading speed to be ranked better than the ones with a low one. Mobile Speed is still not the cure for it all to take SERPs (Search Engine Result Pages) by storm. Google will not be bedazzled by the fast loading speed on mobile devices. Relevant content is and will be the essential requirement for those who want their pages to be visible. 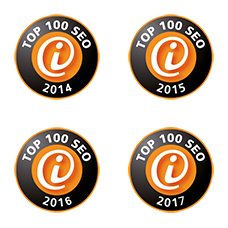 On the other hand it is important to have your relevant content be displayed quickly on mobile devices if you intend to rank well. 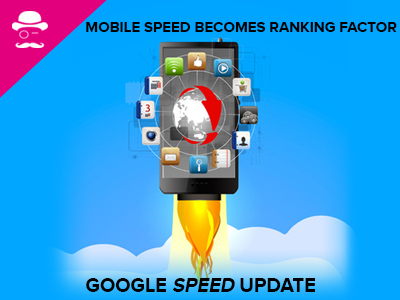 The Speed Update perfectly goes along with Google’s Mobile First strategy. 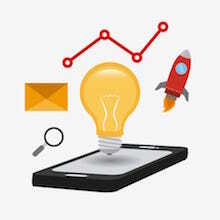 Internet use on mobile devices is a huge trend of which Google takes account for with its game plan. By now, search queries made on smartphones and tablets outweigh those made via desktop computers. In average, it takes up to 22 seconds for mobile page to load. In fact, up to 53 percent of users with mobile devices abort the loading process if it takes longer than 3 seconds to finish loading the page. In other words: the page speed is essential in the competition for user’s attention. Even the best content is without any chance to perform if the page, users are supposed to find it on, has a bad loading speed. 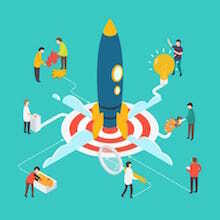 Google states that 70 percent of Mobile Ads Landingpages analyzed in the study take more than 7 seconds to upload the Above the Fold Content (the content which can be read on top of the page without scrolling). With the help of an AI network computer Google tested the probability of bounce rates in relation with the loading speed of webpages on mobile devices. According to that the probability of bounces increases by 123 percent if the loading time is 10 seconds. On the other hand the chance of bounces was only 32 percent with the loading time being not more than 3 seconds. To boost Mobile Speed it is a strong beginning to just compress images and texts. Images with a size in Mega Byte regions outbrakes Page Speed downright. A 3G connection, for example, needs 7 seconds to load a picture the size of 1,49 GB. Chrome User Experience Report – the report gives comparables and statistics of Chrome-users on different webpages. Developers get a general overview how webpages are used and perceived. The dataset concentrates mainly on loading metrics. Lighthouse – the tool helps to measure performance and user friendliness of Apps and webpages. Lighthouse is available as an Open Source tool for the installation as Chrome Extension or via the search console. PageSpeed Insights – analyzes the content of webpages and gives tipps on how to boost loading time. 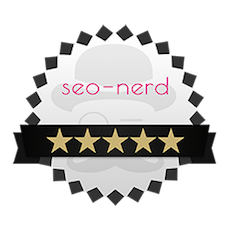 The seo-nerd® is here to help you out with optimizing the Mobile Speed of your webpages. You can reach us via our Contact Form or over the phone with +49 30 700 10 99 0. You want to get in contact via Mail? 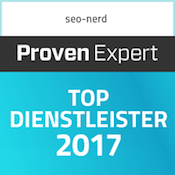 Reach out with contact@seo-nerd.com.